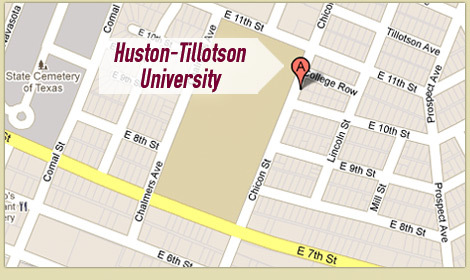 (AUSTIN, Texas) — Richard A. Oppel, former editor of the Austin American-Statesman, has been appointed to a dual role at Huston-Tillotson University by President and Chief Executive Officer Larry L. Earvin, Ph.D. Oppel was appointed to serve on the faculty as Visiting Professor of Journalism and Communication, while also serving in a staff role as Director of Strategic Philanthropic Initiatives. Oppel began assisting communication faculty and mentoring students after University officials reintroduced the major. In addition, his community relationships complemented the efforts of Vice President for Institutional Advancement Roderick L. Smothers to identify funding sources for the new HT Community Health and Wellness Center. Oppel served as the editor of four newspapers: The Tallahassee Democrat, The Charlotte News, The Charlotte Observer and – from 1995 until his retirement in 2008 – the Austin American-Statesman. While at the Observer, he led the staff that in 1981 and 1988 that won the highest award in newspaper journalism, the Pulitzer Prize for Meritorious Public Service. The first award was for a series of articles called “Brown Lung: A Case of Deadly Neglect,” and the second award was for uncovering “the PTL Scandal” involving televangelists Jim and Tammy Faye Bakker. A third Pulitzer was awarded during his tenure for the late Doug Marlette’s cartoons. Oppel has served as chairman of the Pulitzer Prize Board, president of the American Society of Newspaper Editors, and chairman of the journalism advisory committees to the Knight Foundation and to the University of North Carolina at Chapel Hill. Both appointments became effective in August 2013.